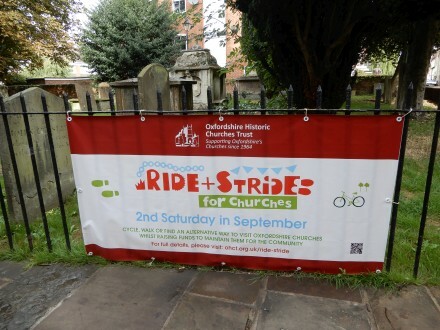 Since I no longer co-ordinate Heritage Open Days, and somebody else is already beginning to plan what happens in 2019, it was a chance to take part in Ride and Stride. This event ensures that a lot of churches in Oxfordshire are open to visitors on the same day – not a Sunday. Participants get sponsored and the money raised goes 50% to their chosen church, and 50% to maintain Oxfordshire Historic Churches. 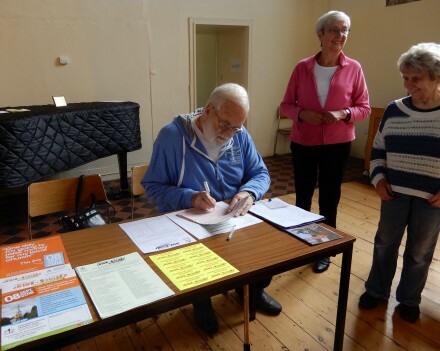 I began at my own church Trinity, Abingdon, where I got a very generous donation from the first two people manning the church. 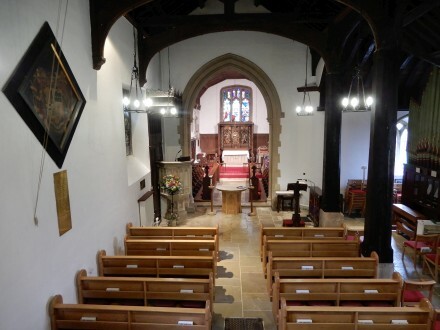 Then went to St Michael’s (pictured). 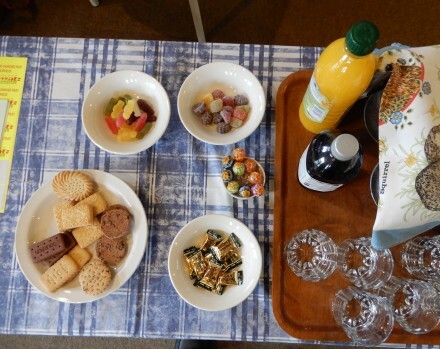 Abingdon Baptist Church may be closed for building work but they still had people with refreshments. 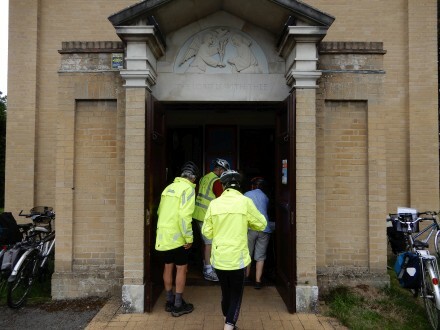 Churches offer drinks, and sustenance to people riding and striding round. All Saints had a good selection, including Jelly babies. The people at a table in the Eden Cafe at Peachcroft Church were very generous and added their names to my sponsor form. Thankyou to them. 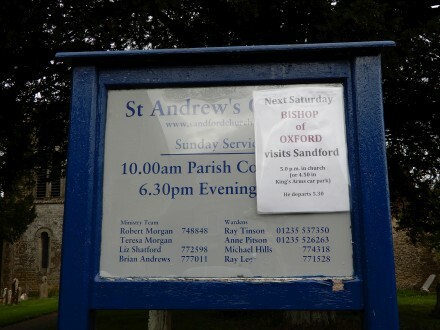 Sandford was expecting a visit from the Bishop of Oxford that afternoon, arriving by boat. 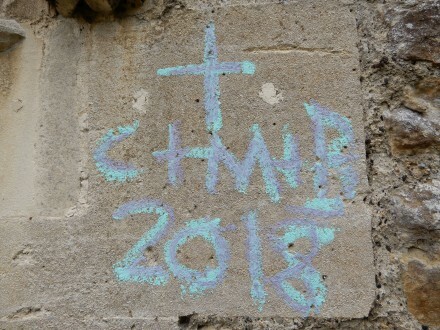 When I got to Littlemore, the Bishop had already been and left his chalked 2018 tag. 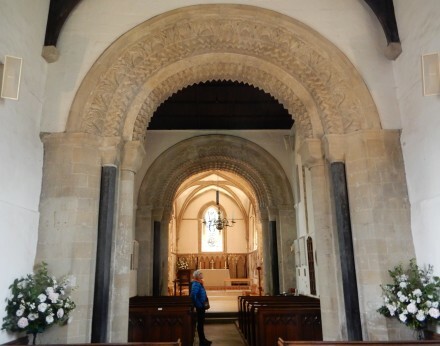 He had been to many of the churches in Oxford on previous days, including the unspoilt church in Iffley with its romanesque arches and John Piper Window. 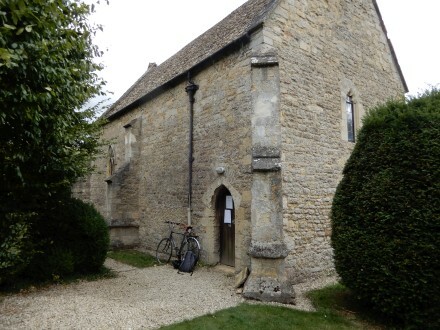 My ride took me down the Cowley Road, where I discovered Bartlemas Chapel (part of the former leper colony). 36 years ago I lived in Bartlemas Road and never knew that chapel existed. Then it was into the centre of Oxford where a lot of churches were very busy because it was also Open Doors day. Christ Church College and the Cathedral had a one way flow system. Once in I just had to go all the way round collecting a signature in the Cathedral. In the end I got round 37 churches and looked inside many I had been past but never looked inside before. I returned home up the Botley Road, and via Cumnor. It was a fascinating way to spend a day. Tremendous effort Backstreeter – well done to you and everyone who took part.